Owen Story came through the youth ranks at the Diamonds, and was given the squad number 36 in February 2003 after being given a contract. He had to wait until the following season when he made his Diamonds debut as a substitute in a Division 2 game at AFC Bournemouth. He went on to make a total of six appearances – coming on as a substitute in all six games. He was released in May 2004. 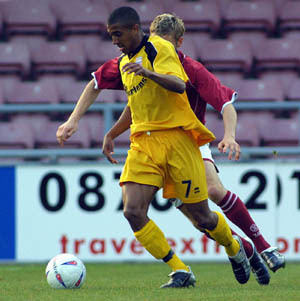 After leaving Diamonds, he joined Team Bath, before signing for Torquay United in January 2005. He was released by Torquay and finished the season at Bath City. Owen moved back to the Midlands in the summer of 2005, and joined Hinckley United where he remained for several seasons playing as a pacey winger as well as a striker. He scored 25 goals in over 140 appearances before joining Redditch United of the Conference North in the summer of 2008. 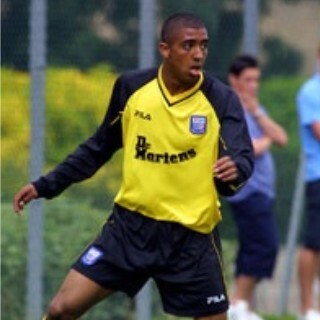 In June 2009, he signed for Unibond Premier side Kings Lynn, managed by another former Diamonds Carl Heggs. Following the demise of Kings Lynn, he joined Brackley Town of the Southern League Premier Division in January 2010 and helped them to promotion to the Conference North in the 2011/2012 season. After a further two years with the Saints, Owen left the club on 4 June 2014, before signing for rival Conference North side Solihull Moors. He then moved to Barwell FC in 2016, and started the 2018/19 season with them. He moved to Bedworth United in November 2018.